What Does The Real Jared Vennett Think Of 'The Big Short'? He Got Gosling, So It Can't Be So Bad, Right? Ryan Gosling. Christian Bale. Steve Carell. Brad Pitt. Do I have your attention yet? These are the stars of the new movie The Big Short, based on Michael Lewis' 2010 book The Big Short: Inside the Doomsday Machine. 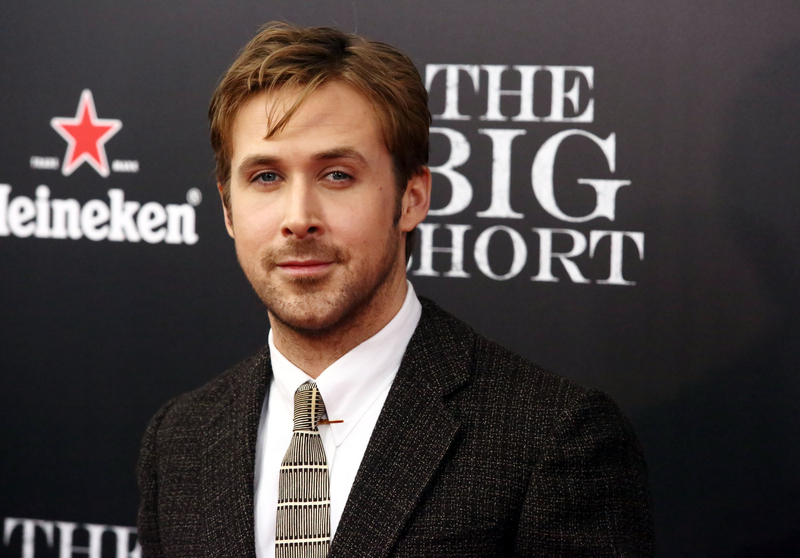 A particular source of amusement for the media has been Ryan Gosling's physical transformation into his character Jared, including a wig and a more pale than usual skin tone. This doesn't seem too mean-spirited in comparison to a lot of the stuff in Hollywood headlines nowadays, but it's worth noting that Gosling's character is based on a real person. So what does the real Jared think of The Big Short and his portrayal in the film? Well, for starters, he isn't actually named Jared. Both the book and the film revolve around the financial crisis of the 2000's, focusing on four men who predicted the collapse of the housing market and therefore made the risky decision of betting against the market — only to profit amazing sums when the collapse did in fact occur. The movie itself has been considered risky for several reasons, one of which was the casting of huge mainstream actors as the four eccentric financial experts. So yeah, some names were changed. The character of Jared is based on Greg Lippmann, a former trader for Deutsche Bank who bet against subprime-mortgages before the market collapse, subsequently raking in billions. Lippmann agreed to his story's involvement in the movie, but asked director Adam McKay to change his name. Probably not a bad idea, since his character in the movie is portrayed as less than lovable. Gosling met with Lippmann to help the actor get a feel for the character of Jared. Gosling told Vulture, "He [Lippmann] was very helpful, in a way, in sort of helping me to understand as much as is possible the sort of financial lay of the land at the time. He understood the character was loosely based on him, and his purpose in the film was to educate the audience on the overall story. And he was helpful in sort of adding flavor to the character so that he wasn’t just a narrator...". Personally, I think I would have made better use of the conversation time with Gosling. If anybody wants to set that dinner up for me, I'll gladly prove my worth. In a 2010 interview, Lippmann told Observer that he was eager to go back to living his life without being famous. "I look forward to being anonymous again," he said. Given that Lippmann clearly values his privacy, one could actually argue that it was diplomatic of him to be involved with the film production to the extent that he was. Although Greg Lippmann has stayed out of the spotlight, he certainly isn't out of the game; the finance mogul now heads an asset management firm called LibreMax, which specializes in structured products. So even if the press for The Big Short includes some jabs at his hairstyle, Lippmann himself is certainly doing just fine. Editor's note: A previous version of this story misspelled Greg Lippmann's name.